WARM and Cozy, Move in Ready Alicia Model in Canyon Springs by GL Homes, located in Suburban West Boynton Beach Florida. 5 bedrooms + Loft, 4 baths, 2 car garage 3269sf This home features a huge eat-in kitchen, Open Concept Transitional Floor Plan. One bedroom and full bath downstairs for office/guest/playroom, Space under stairs converted to storage. Formal Living and dining rooms are open to expand out for large entertaining space. Family room and eat in kitchen with breakfast nook overlook the private, fenced backyard. Upstairs youll find 3 guest rooms, 2 share a Jack n Jill bath, the laundry room, a great loft for play area, home theater or workout area. 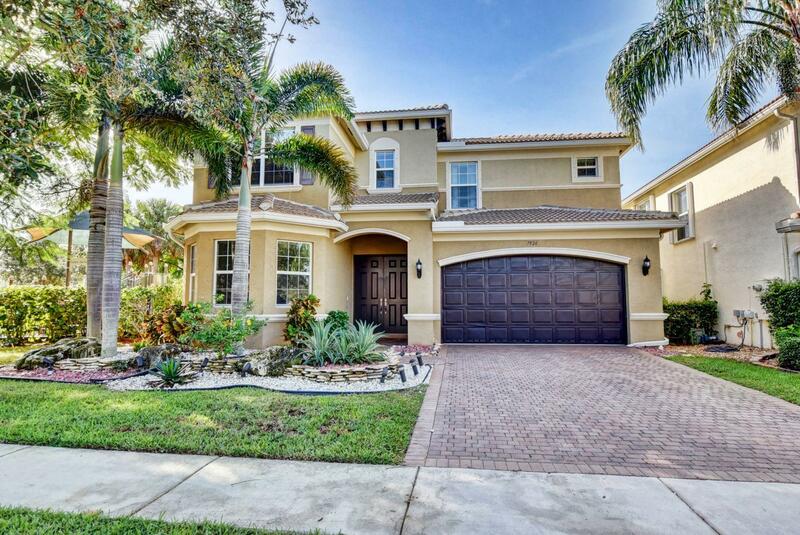 Oversized Master has 2 walk in closets and spa like master bath. Minutes to shopping, easy commute and A rated schools!